The number one priority of Liberty is literacy. As defined by Webster, literacy is the process of being educated and cultured. Liberty interprets that to mean fluency and skilled ability with the written and spoken word as well as technology, math, science, media, history, the arts and contemporary culture. The objective is to create small communities where in a non-threatening safe environment students are free to risk and creativity can flourish. Children will be known and their strengths and weaknesses recognized and acted upon. 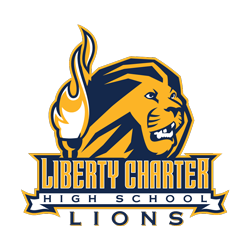 Liberty will employ instructors and personnel, in general that are passionately contagious about the love for learning and possess an enthusiasm for teaching and being involved in the lives of students. The intent is not to merely re-arrange the chairs but to develop an exciting creative environment with rich, demanding curriculum in which every student has the opportunity to succeed. Individual needs of our students, including physical, emotional and financial needs will be addressed. Likewise, a community of family members will be drawn into the school environment where parents are recognized as invaluable resources to not only their own children, but to the school family at large. PARENTS ARE VALUED AS AN INTEGRAL PART OF THE "TEAM." A community of family members will be drawn into the school environment where parents are recognized as invaluable resources to not only their own children, but to the school family at large. Liberty will implement time tested reform ideas, as well as techniques practiced over years of teaching. A program that is rich in diversity of teaching techniques and materials, solidly academic in nature, decidedly unique in the approach taken towards student's and their individual learning strengths and weaknesses, and provide an environment that because of teacher and community buy-in is passionately contagious with regard to instilling into children a curiosity for learning and a desire to achieve. Liberty will be a technologically rich environment where technology is a tool, not a teaching machine. Linking the community to the school is critical to the 21st century in an effort to make real life experiences bridge over to education. Linking available community resources in a comprehensive, integrated approach that prevents barriers between the school, home and community would prove only a positive step in the total education of each individual. Assess student progress on a continuing basis in order to provide students with the most positive, productive educational experience possible.